In a three and a half minute video, Microsoft may have shown the world what it has in store for the eagerly awaited Windows 8. 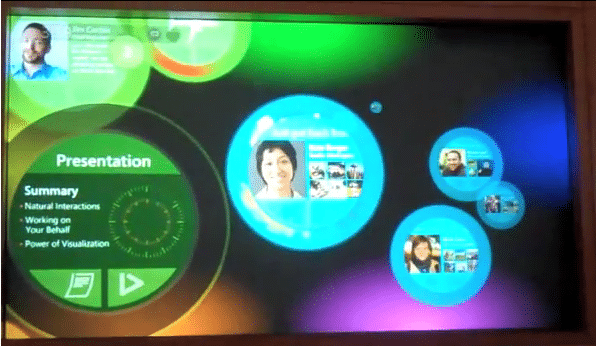 In the video Microsoft showed a radically different interface from past versions of Windows — even Windows 7. Running on Surface 2, the touch-screen successor to the original Microsoft Surface, the device accepts input from a Windows Phone 7 handset (HTC HD7). Gone are the icons that drive Windows, OS X, and Linux operating systems of past and present. In their place are “bubbles” that interacted with files and post streaming information off the internet. NEXT POST Next post: STOP WORRYING – START BEING HAPPY! !